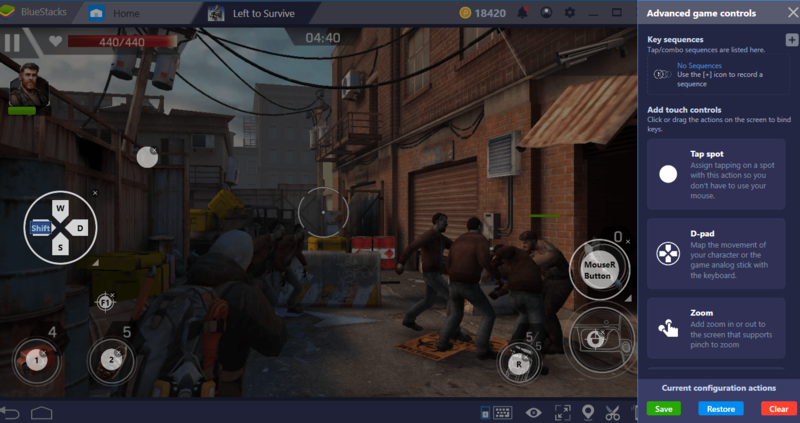 If you want to embark on a fun adventure in a world full of zombies, Left To Survive is undoubtedly one of the best options. 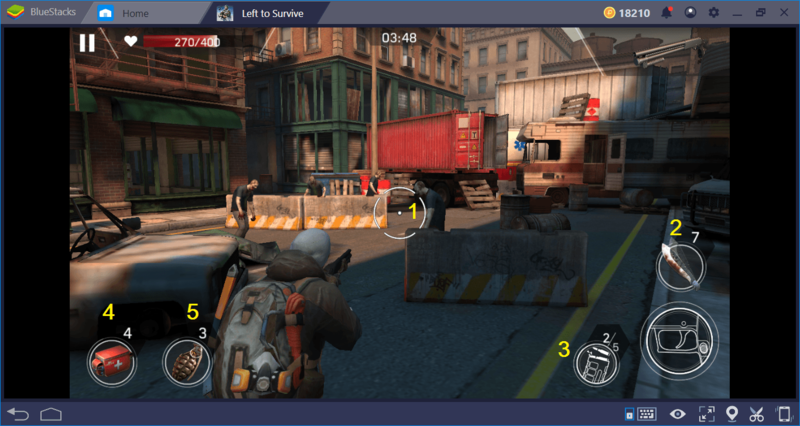 As we mentioned in our beginner’s guide, this is an action game that uses TPS (third person shooter) and on-rails shooter mechanics, so using BlueStacks gives you many advantages. You can reduce your reaction time, repeat missions automatically with Combo Key, and make the game much more enjoyable. Below, you can find out how to do all of these and more. This stage is quite simple and mostly automatic. Enter the name of the game in the search box on the BlueStacks main screen and press “Enter”. BlueStacks will find the game for you. After that, all you have to do is press the “install” button. Left To Survive is about 400 MB in size and the download will be completed in a short time. 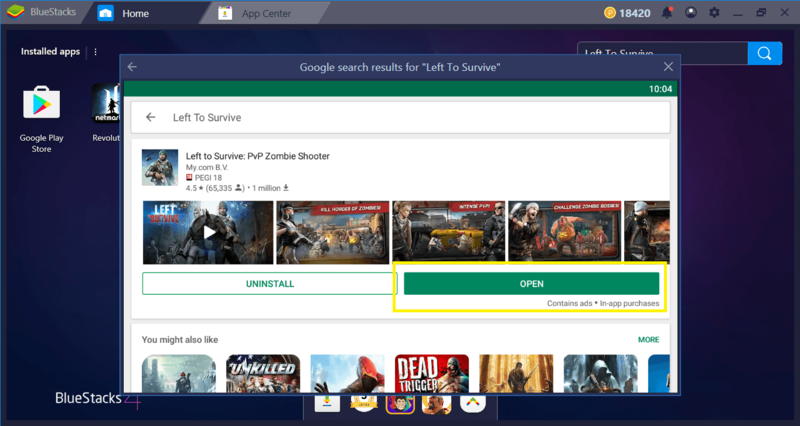 No need to do anything after pressing the install button: BlueStacks will do everything automatically and notify you when the game is ready to play. On our screen, the button shows “play” because we already installed the game. This button will be displayed as “install” on your screen. In Left To Survive PvE missions, you will hardly ever use the keyboard. As we mentioned in the beginner guide, all you have to do is to aim and shoot by turning the camera around. To do this, you can just use your mouse – the keyboard keys are only used in emergency situations. Take a look at the screenshot below. After pressing the F1 key, you can use your mouse to aim and turn the camera. Press the left mouse button to fire. Press the right mouse button to make a melee attack. As we mentioned in our Tips and Tricks guide, this type of attack can sometimes be more effective than shooting. Reload key. Press R to reload your weapon. The numbers you see here show how many rounds left in the magazine. For example, in this screenshot, we have to reload after firing two more times. First-aid kit, it should be used when your health is reduced. Press 1 to use. Hand grenade, the perfect weapon to kill multiple zombies at the same time. You can use it by pressing 2. 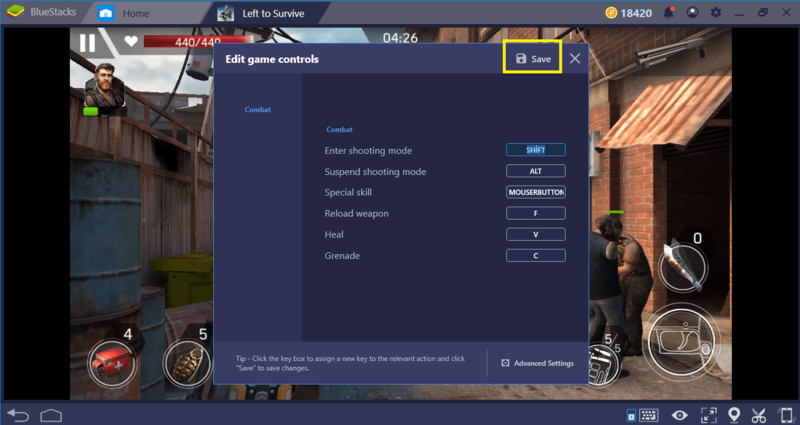 You will use these default controls in PvP matches too. And while managing your base, you do not need to use anything other than your mouse. 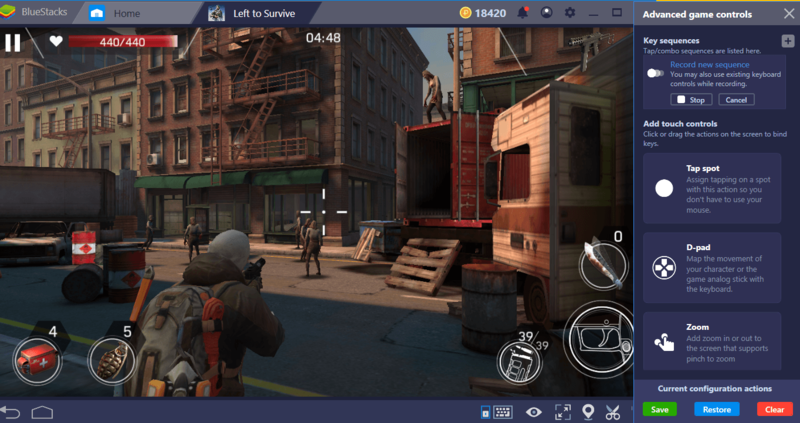 To tell the truth, the default controls of BlueStacks are the ideal control scheme for Left To Survive. You only need to use your keyboard for grenades and first aid kits, and you can handle everything else with your mouse. However, if you want to change the default scheme for any reason, you can do so easily. Start by clicking on the keyboard icon at the marked section. This will open the keymapping tool. This is the default control scheme. You can make changes by using the “Edit” button and use any keys you want. Remember to save the changes by pressing the “save” key when done. 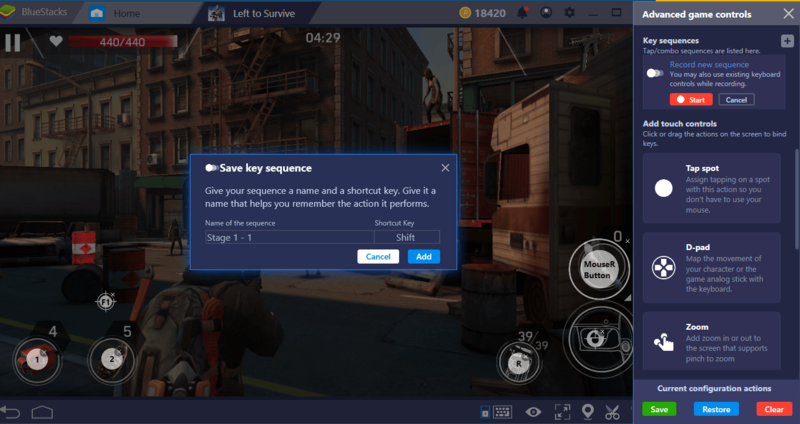 But that’s not all: BlueStacks offers an advanced keymapping tool too. Using this tool, you can place the control keys anywhere on the screen and create a completely personal interface. To do this, just click the “advanced settings” button in the keymapping tool. This is the advanced keymapping tool. Using the options on the right, we can place a key anywhere on the screen for any function. 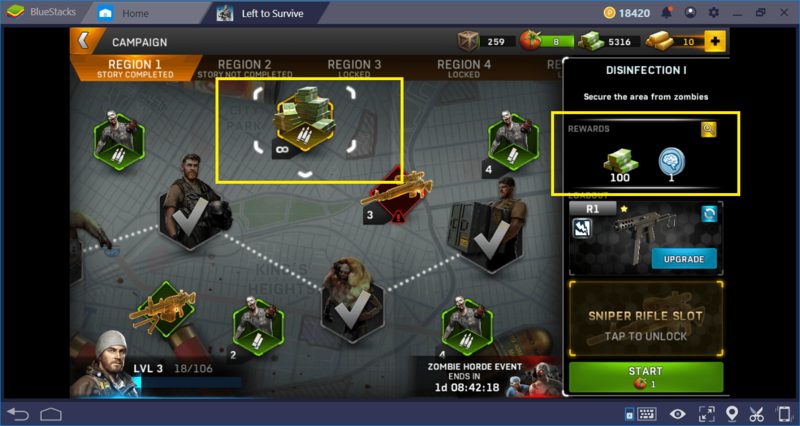 Left To Survive allows you to repeat completed PvE missions. Some of them have a limit but some of them can be repeated infinitely, and you can win prizes every time. You can repeat the marked mission as many times as you want and earn 100 bucks each time. Since on-rails shooter mechanics are used, repeated missions do not offer any difference. In other words, zombies are always spawning in the same spot and the camera always moves in the same direction. As can be guessed, repeating the same things over and over can become boring after a short while. However, using the BlueStacks Combo Key feature, you can fully automate this job. Combo Key lets you record a chain of actions and repeat them at any time with a single keystroke. So, find a mission that you can repeat infinite times, record it, and continue winning the rewards by repeating that record as many times as you want in the future. Start recording at the moment you start the mission. The Combo Key menu can be accessed via the “advanced keymapping” screen described above. End the recording after completing the mission and give it a name. In the future, you can repeat this mission as much as you want and automatically. To upgrade your weapons, you need to use incremental amounts of bucks each time, so this BlueStacks hint will be very useful. You can easily upgrade all of your weapons without having to use real money, and you can focus on the fun aspects of Left to Survive. 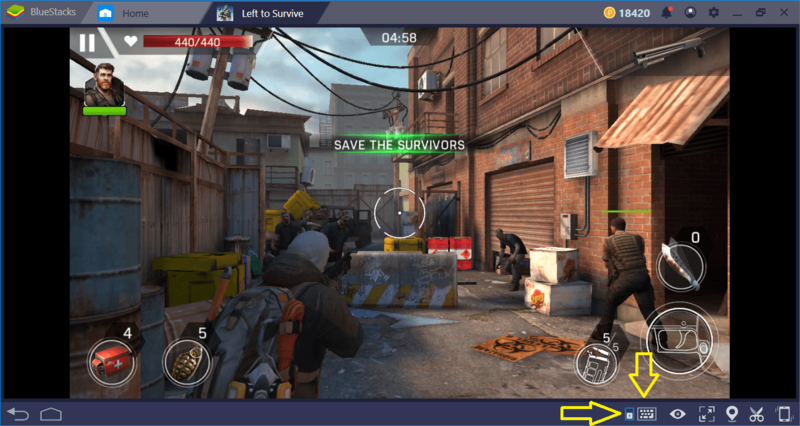 Using BlueStacks will make the game more enjoyable and more efficient. 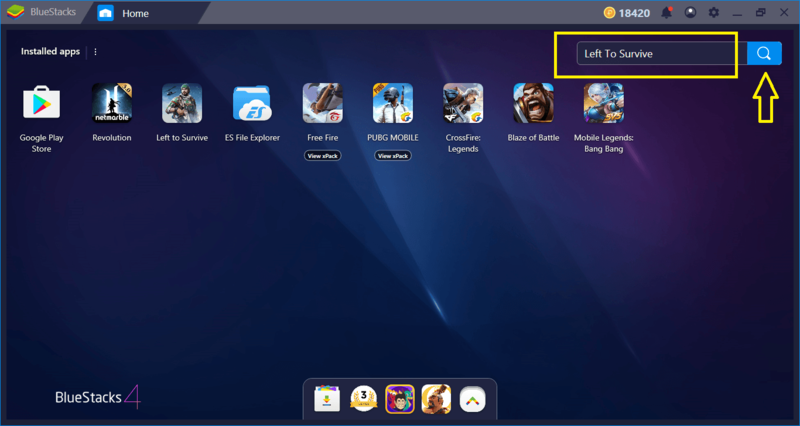 If you have another useful BlueStacks tip, you can share with us via the comments section. To learn more about Left To Survive, don’t forget to read our other guides. 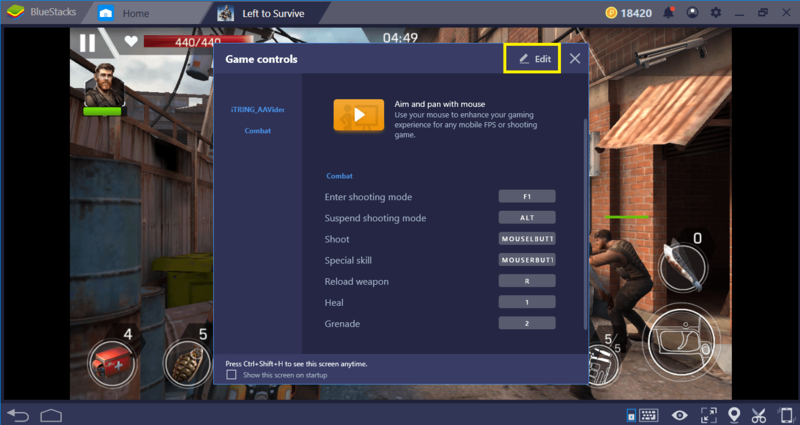 We especially recommend taking a look at our Weapons and Survivors guides: In the first, you can learn which weapons are more effective against zombies, and in the second, you can learn how to expand your base quickly. Now, if you excuse us, we have a lot of zombies to kill and a limited time to have fun: Good luck!